It began with handouts, printed up to provide the information students needed to work independently at home. Students advised Carol concerning the content and easy-to-read formatting. 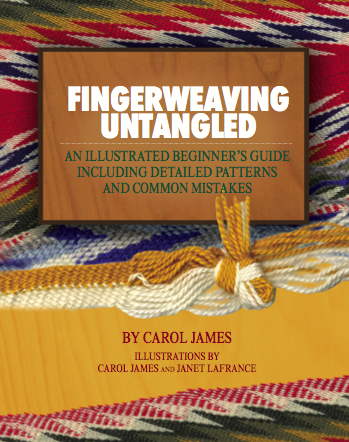 Carol's students pushed her to publish the information in the book that is now Fingerweaving Untangled. Fingerweaving Untangled is a beginners instructional book on learning the basic techniques of finger weaving. 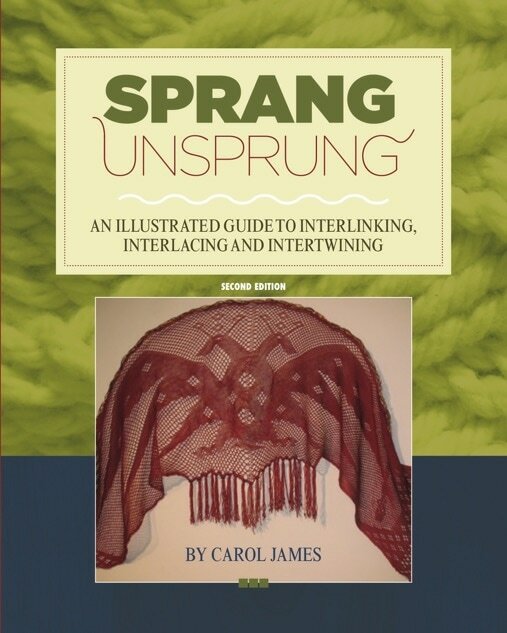 Spring Unsprung is an introductory book on sprang. Basic instructions as well as diagrams for frames are included in the book. 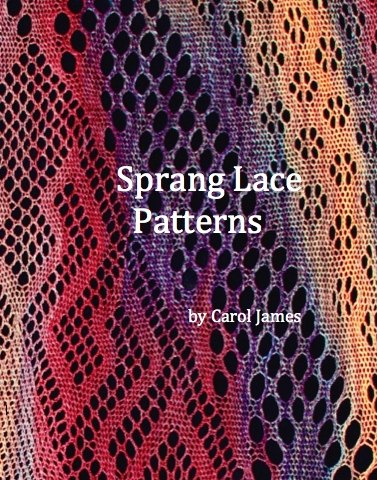 Sprang lace patterns is just that, a book containing directions for making lace in interlinking sprang. 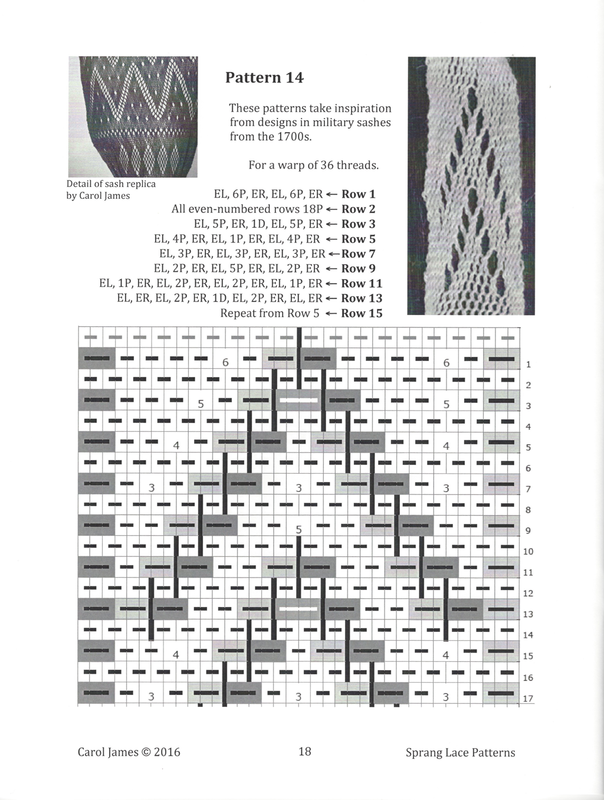 Beginning with a brief how-to section outlining the stitches, the book contains 25 different lace patterns and some historic sources.